Internet WiFi is available in all areas and charges apply. Parking Free! Free private parking is available on site (reservation is not needed). 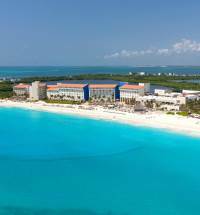 Peacefully resting at the quiet end of Cancun's Hotel Zone, this luxury hotel offers private white-sand beaches with breathtaking views of the Caribbean Sea and Nichupte Lagoon. 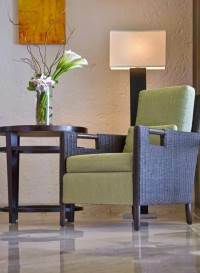 Free WiFi is available throughout the property while Premium high-speed WiFi has an extra cost. 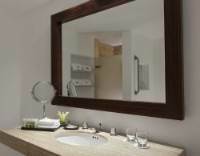 The Westin features bright and airy guestrooms containing attractive contemporary decor. Feel welcomed with warm lighting, beautiful botanical arrangements, signature music, and the hotel's calming white tea scent. Guests can enjoy a wide variety of international cuisine at one of the specialty restaurants on-site. 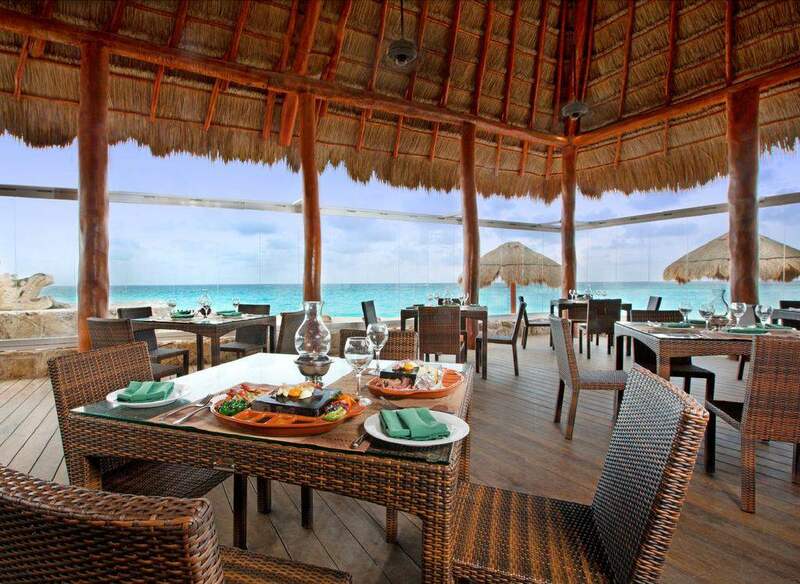 From traditional Mexican food to exotic fruits and delicious fish and seafood. 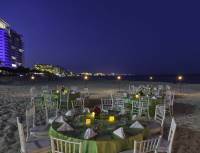 Every dining experience includes over the top Caribbean Sea views. 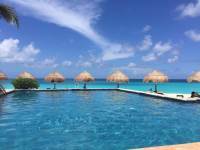 Relax on the private beach or take a swim in one of the 4 outdoor pools. 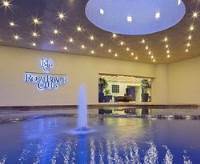 Be pampered at the on-site Heavenly Spa or enjoy a variety of leisure activities such as surfing, tennis, golf and more. 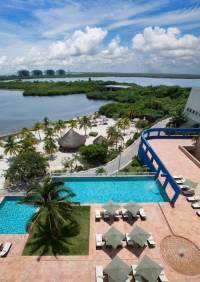 Experience an unforgettable Cancun getaway at Westin. Lovely staff (especially Gina and the girls at the check in desk) and we had a great room. The restaurant serves good food, although a bit on the expensive side (like other places in the hotel zone). The location is a bit off if your in Cancun for the nightlife. If you're here to relax like us the location is great. Would recommend this place any day in the week, keep up the good work guys! So, first of all I usually stays at much less expensive hotel than this, the standards much more simple and so on.. I find this hotel very nice, very friendly staff, god (yet a little overpriced) food, the beach right outside is very nice, my room with the view over the Atlantic was big, very much space, nice bathroom, nothing to complain about there.This hotels location is a the very down of the "7", so it's pretty far from Cancun city, but if you don't wanna stay that far from the city, don't book in, pretty simple. I truly recommend this hotel! Customer service was exemplary. I've read the negative reviews and gladly can't agree with any of them. I was very skeptical at first. When we arrived, we were upgraded from Deluxe Lagoon to Oceanfront at no extra charge. We were welcomed with smiles and received service with the same. The breakfast buffet is awesome. We ate lunch several times on the property while enjoying the pool and beach. We didn't get all inclusive because just a short ride into town on the roller-coaster/local bus for $1 each way, are plenty restuarants to enjoy lunch and dinner if you wish to mux it up a little. 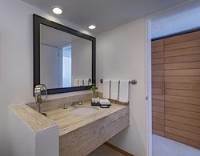 The room was cleaned daily by friendly staff. No signs of mold or dated furniture as mentioned in the negative reviews. Enjoying our last day here. We are not ready to depart. This hotel is at the end nearest the airport on hotel zone map. There are many vendors here who sell watersport activities, tours and souvenirs. Please be kind and just decline if not interested. Jonathan A. and the entire staff made our stay very enjoyable. 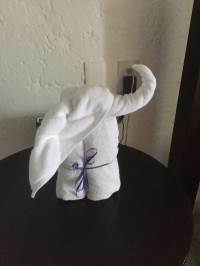 Their attention to detail and understanding guests need is what great hospitality is all about. The food was great, better than Navíos in my opinion. The people at the Bell Desk were very attentive and responsive. Excellent job! 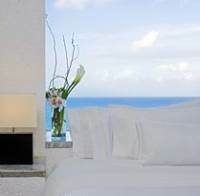 We would love to return for the ocean view and to see the completed renovation. Returned back to this hotel after 2 years. The hotel is now undergoing a pretty large renovation. 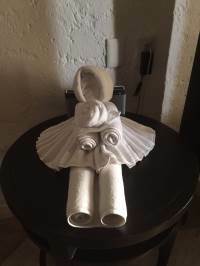 Before we left for our trip, I received an email from Jonathan, from the Westin, welcoming me and asking if I might need anything particular for my stay. I replied back telling him its my parents and brothers first trip to Mexico.At check in, Jonathan was present and he went above and beyond to make sure our stay was exceptional. 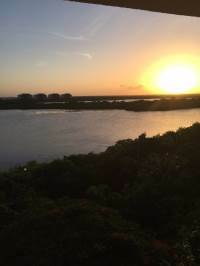 Our rooms were upgraded to full ocean view rooms (as a Platinum member) and he extended club lounge benefits and full breakfast to the second room as well (which is going beyond the normal benefits). That was fantastic because it meant we could all enjoy breakfast and evening drinks together instead of being split up. Thank you Jonathan.We were upgraded to the Royal Beach Club rooms which is another tower on the end of the property. Getting there is either a long walk or a drive through some construction. After a good bit of confusion, we were directed to the right building and settled in. The rooms in the Royal Beach Club havent yet been renovated but are plenty comfortable.The views are the best part, there is a club lounge right there for easy access.The room itself is comfortable, the AC works great to keep the heat out, wifi works well, plugs by the bed and all the other usuals. Other than the fact the the room is older, there really isnt anything to complain about. It even came with a rather huge balcony overlooking the ocean.Evening cocktails were at the club and included a host of cocktails like margaritas and daiquiris along with well drinks and appetizers. The drinks were good, as was the service. The food sadly was mediocre at best. Cocktail hour was from 5.30 to 7 PM.Breakfast could be taken at the lounge or the restaurant. 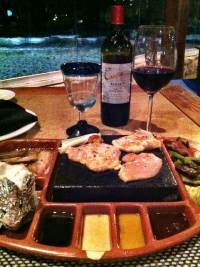 We chose to take it at the restaurant daily since the selection is much larger. Food at the restaurant was pretty good. Not much changed daily with the exception of the local menu (2-3 items) but overall, it was of good quality.Parking at the hotel is free and underground, or out and about by the Royal beach club building if that is where you are staying. The beach club has its own pool as well as a hot tub. For the duration of our 5 nights there, almost no one was using this particular pool. A very nice plus is that the pools etc are open 24 hours.Overall we really had an very enjoyable family vacation here. Nothing to complain about at all. Note that if you are staying at this hotel, there really isn't anything much you can walk to, so a car would be essential. Look forward to coming back once the renovations are done. Resort is in the middle of a reconstruction with a makeshift lobby, dust everywhere. The building was showing it's age in all aspects and extremely dated looking. Only one small bar/restaurant open - most areas were closed off. Limited choices and no other restaurants/bars within walking distance. The room itself was terrible, the furniture was mismatched with an unwelcoming appearance. This resort should be closed until the remodel/rebuild is complete. 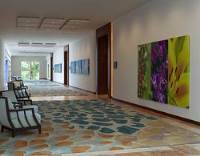 It is not suitable for accommodating guests, especially at the level for which Westin is known. I would go out of my way recommend travelers NOT stay at this resort. Awful. Westin should be ashamed of themselves. This Hotel has very helpful staff with wonderful attitudes. From the valet to the check-in and especially the restaurant, they were all quite friendly and attentive. The room was clean and the bed comfy. The pool and beach area were very enjoyable. Checked in around 3 with no wait. A word of warning though, just north of here on the main road the local police are shaking down tourists for bribes, beware! It’s the first hotel when you enter the hotel zone so you don’t have to worry about it being crowded. Maybe because of the renovations, it wasn’t a lot of people there so it was very quiet and peaceful. Service was great. Food was great. I would suggest waiting until renovations are done because I had to wait two hours after I got there for my room to be ready.Overall, I’d suggest this hotel and definitely will be staying here when I go back. My experience at the Westin Cancun Resort & Spa was just so special.From the moment my wife and I walked in and Fernanda Perez greeted us, to the time we met you, Mauricio the hotel GM, every one of the hotel associates went out of their way to make our 20 anniversary trip as special as they could.Every single employee walks around with a smile and that makes the guest experience that much nicer.I must ask you to thank on my behalf the wonderful Bartenders in the Royal Beach Club, they went above and beyond to accommodate every one of my kosher requests to make sure my wife and I were never without a Mojito or Daiquiri in hand!As well, the associate that cleaned our room, I apologize, I don’t remember her name was as nice as can be, and is truly a towel artist.A star, a rose, a heart, a teddy bear, a little girl, two swans, an elephant, Every day a different towel creation greeted us in our room.Yes the Hotel is under construction, but that the Westin Hotel & Royal Beach Resort treat every guest like King & Queen.Thanks!! Review after review warns - your room won't be ready at check-in time. And they're right. But honestly, this place more than takes care of you. Credit for lunch and drinks at their patio restaurant. When it still wasn't ready a couple hours later, we got a complimentary oceanfront dinner and upgraded to a honeymoon suite. Come on! I'm guessing their housekeeping staff is short or something, because this keeps coming up on reviews. But what a resort. And the service is top notch. The hotel is a little bit older but is still well kept. The staff is very helpful and respectful.The pool isn't very large but it's nice and clean. Access to the beach is ideal with people with children. I felt compelled to write a review on this hotel because as most people, I was hesitant to stay after I read the reviews. However, I was pleasantly surprised. Without a doubt, there is construction going on around the entire hotel. You can hear it from the beach and the pool area but it was not bad at all. The sound of the ocean and the upbeat music cover it up. 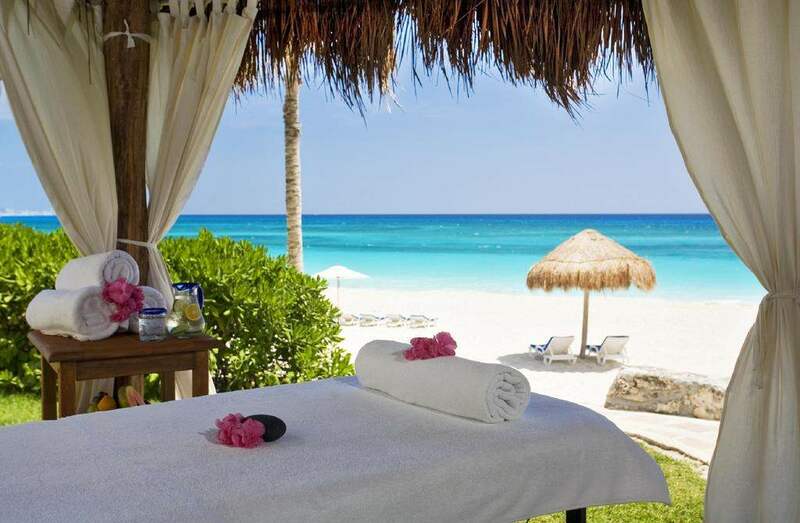 We even got a massage by the beach and believe me when I say, the construction noise was the last thing on my mind. The rooms are clean, large and comfortable. The staff is nice, but I was overcharged at the pool bar so be careful with that. The spa is gorgeous and relaxing. Best of all, we were able to witness sea turtles lay their eggs from afar. Overall, it was a great stay so don't let a little construction deter you from having a great vacation at this hotel. My boyfriend and I stayed for 2 nights at the end of our trip. They were undergoing major hotel renovations during our stay. We felt most affected by this at the pool area. We tried to enjoy our selves but the hammering and pounding was just too loud so we made our way down the beach to another area. The rooms are unique but dated. Small things like paint touch ups, stained furniture, chipped tables etc. I'm hoping they are re-doing all of the hotel rooms not just one section. We ate lunch at the hotel on day and was not impressed. Could have easily been what we ordered (fish tacos were just brown fried small pieces of fish with some sauce in a tortilla and the pastor tacos were average). The staff that I didn't encounter seemed to be nice and friendly. The biggest bummer was not realizing before booking how far away the hotel is from the main hotel zone. I wish they would have told us about the renovation during checkin and maybe provided us some alternatives to the noisy pool everyday. We stayed for only one night as a stopover. The room was excellent- heaps of room and quality furnishings. The hotel is right on the beach and the pool areas, bars and eating options were really good. There are some renovations going on at present but that didn't affect us having only the one night. The breakfast was awesome - lots to choose from and plenty of it. Would stay again. Well let me start by being very clear that there is a major construction programme going on. This is predominantly around the main hotel complex. It has cordoned off certain areas and certainly reduced the appeal of this part of the hotel. However if you stay at the RBC you are shielded from all that goes on. The RBC is a hotel within a hotel and in my opinion exceeds expectations. The rooms are large and we were upgraded to an Ocean view (careful as the waves are kind of noisy). I am SPG PLT and had use of the lounge where breakfast and canapes were served along with a free flow bar.Moises and the rest of the staff in the lounge were exceptional. They were extremely friendly and professional. In fact all the staff were friendly and approachable.Food in the hotel is good not great. 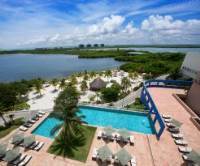 Beach and Pool facilities are good with great views of the Southern most area of the hotel zone. Club Med up the road does make a bit of noise but nothing too extortionate.The beach is a nesting ground for sea turtles and we were privileged to be able to see mothers coming to nest and babies stumbling to the ocean. A truly unique experience. Please use common sense and DO NOT USE A FLASH WHEN TAKING PHOTOS AND TRY NOT TO DISTURB THEM.In close proximity to the hotel are two good restaurants:Navios - A fine dining restaurant with exceptionally good prices. Food quality superb. 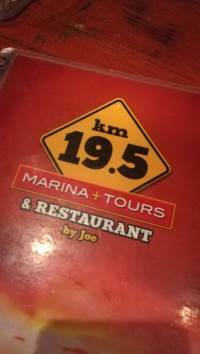 located on the lagoon.KM 19.5 - A nice local bar serving cold beer and good service.Both are located to the right when exiting the hotel.One final point. Don't be afraid to use the local buses. They are great value and great fun. 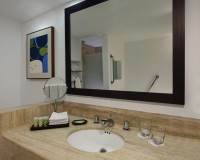 Located right at the start of the hotel zone strip, its a little far from shopping areas. Nonetheless buses conveniently take you to the shopping areas in less than 30 mins for a dollar.Renovated sea and pool facing rooms. Poolside bar, 4 restaurant options, kids play areas and friendly staff. What else do you need for a perfect vacation.The bonus out there are natures' gift.. turquoise blue sea and a great weather to stay in water all day.I plan to visit every year. Late in writing this review since we stayed in May 2016, but wanted to acknowledge the great time and experience that we had at the Westin Resort and Spa. 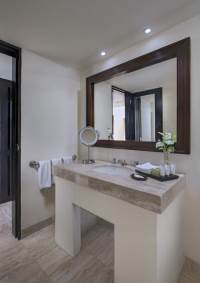 We booked a room in the Royal Beach Club and when we arrived we were upgraded to a ground floor room.Best things at the RBC were the SUPER CLEAN rooms and EXCELLENT SERVICE. Loved the easy access to pool and beach directly from room. Breakfast buffet and cocktail hour snacks were all delicious and had a good variety. There were plenty of chairs & loungers both poolside and on the beach at the RBC. Stay here for peace and relaxation, but caution-- far from the action for the party crowd. Did not purchase an all-inclusive meal plan since we wanted to try a variety of restaurants which were easy to get to since we had a rental car. I was a bit nervous after reading some of the reviews but I can tell you we had nothing but positive experiences. We upgraded to the Royal Beach Club, balcony with beach view. The room was clean, spacious, bed was comfortable. Area was quite, peacwful. Everyone I encountered was very pleasant and and went out of their way to accommodate our needs. Food was good, certainly not as bad as some people were saying and price I found was reasonable. Favorite part -the beach! 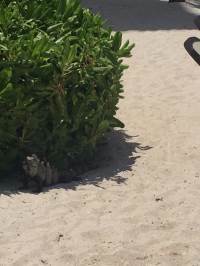 We got to witness sea turtles hatch! We were not bothered by the construction since we were in another part of the hotel.Only complaint, the room would "sweat" if we left the balcony doors open due to the humidity and the air conditioned room. I stayed here at this property many times in the past. I am here now and my opinion has changed drastically since 2015. The property is under so much renovation that I cannot enjoy my stay....they even put ear plugs on the night stand for their guests. I'm sure it will be a great place when the renovations are done. It just seems like they do not care about the appearance of the hotel at all. I had to wait 3 hours to get into my room which I think is unacceptable since I have stayed here many many times. I had room service last night and it was deplorable. I tried the breakfast buffet this morning and it was only average. I am trying to keep an open mind because I used to love this property. Today I just cannot recommend it to anyone. We just had a nice week in Cancun at the Westin Spa and Resort. The trip got cut short by a day due to the hurricane in Houston and our return flight. We also had some spotty weather due to a tropical storm and typical tropical activity this time of year. Apart from that we had a very nice time. We stayed at the Royal Beach Resort side of the property. Very quiet and peaceful. Perfect for a restful stay. Breakfast was included and we received excellent service from Marco at the breakfast each day. The beach was nice although some choppy waves require a bit of caution for small children. The property is undergoing some renovations. This is an ocean front hotel so the wear and tear from the salt air and water is tough.....the room was nice with a great view of the ocean. It did need a bit of an update but really clean and comfortable. Food is pretty good for a hotel and prices are on par with a Resort hotel. Sea and Stone restaurant was good. Nice service and food was good and reasonably priced for a Resort restaurant. Lunches were good (I recommend the ceviche and chicken fingers- both were really good). I would suggest planning your outings, restaurants and other activities before you get there. Know how much, where and logistics or it might be difficult to decide what to do. Overall, I would return now that I have plenty of info to better plan my time. Finally, hotel staff is very pleasant and helpful. The worst part of the trip was the food at the Cancun airport....very very expensive for fast food..eat before you go to the airport. Happy travels. We stayed one night on cash & points. The staff are very friendly! We were upgraded to the Royal Beach Club which was away from the construction. That was nice of them to do that without being asked. The food at the Westin was okay. I would not personally stay here for a week due to the construction, one night was fine. I think after the construction is done it will look nice. The location of the hotel is one of the first hotels in the hotel zone; therefore, I do not care for the location. The beach is not great here either very hilly, there is a drop. You need to walk down stairs to get to the beach. I regret staying here. We are currently staying here and I feel threatened. First off, we only used our credit card for the hotel and our information was stolen. Someone is in CANCUN spending all our money on Apple iTunes and some other mexican store purchases. Management was super defensive and didn't want to look into it. We were also accused of smoking and we have never smoked in our lives(someone was smoking up and down the hallways last night and it's probably the same person). We were threatened a $200 fine or they were going to call the police on us? What kind of a threat is that? Hope to God we aren't charged. Makes me really uncomfortable staying here. The manager wanted to come into our room to check it out while I was in a robe. I'm a female and that's really weird and intruding. Very inappropriate power trip. Our room has a clogged sink, refrigerator that doesn't work, cockroaches roaming the swimming pool/food areas, outside our room had a huge water leak from the ceiling and got us wet(the hallway was literally raining on us), and the hotel has a mold smell down the hallways. Pushy sales people that will call you and leave voicemails. I wanted to be in paradise, not hell. Wish me luck on the rest of my stay. :( My stomach is in knots. Warning... just stay away. 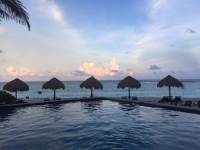 We recently had an amazing stay at the Westin Cancun. 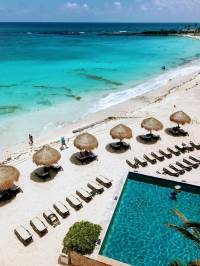 The hotel is located in a quite area of the Cancun hotel zone and the beach is pristine! It is easy to catch a bus in front of the hotel for shopping, excursions and dining. The staff was attentive and helpful. I had forgotten my toothbrush and two toothbrushes and tubes of toothpaste were delivered promptly. We enjoyed the services of the Royal Beach Club which included evening cocktails and appetizers. A buffet breakfast was also included, but we had to check out for an early flight and didn't have an opportunity for breakfast. Our room was large and comfortable. Our server, Moises, checked on us often. The beach here is one of the most beautiful that I've seen. 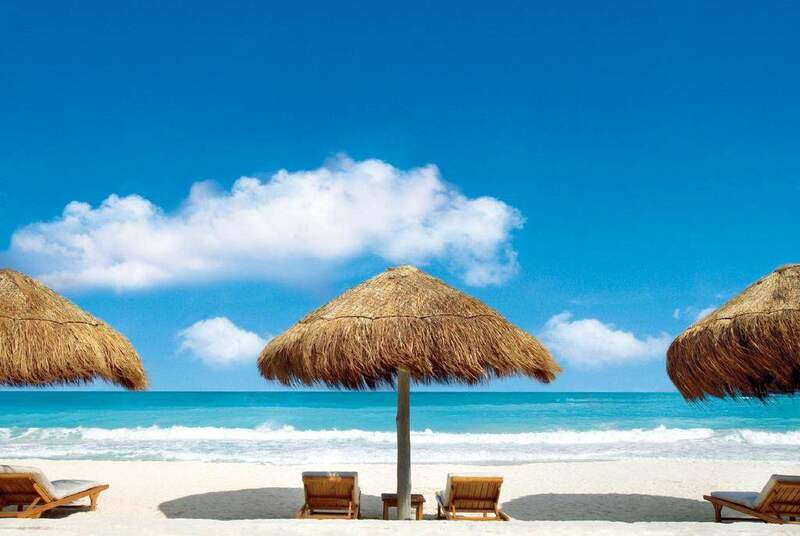 There are plenty of lounge chairs and shaded palapas on the beach. Our only disappointment was that our stay was so short. We hope to return soon! I just visited for one night to attend a conference this weekend- got to hotel before 12 pm and greeted well by front desk receptionist-she was very helpful and I had booked two night originally but due to my schedule I have to change to one night only - NP- Jonathan of guest coordinator come out greet me and being really helpful. As I come early I had requested king but it was not ready so they gave me a nice ocean view room on 4th floor - the view was breathtaking- nice semi- private pool and beach. The breakfast and afternoon drinks was included- food was excellent as well as service. I will definitely come back with family to stay here. 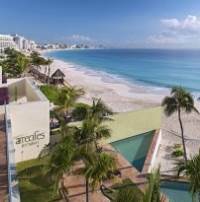 Will definitely recommend who want to visit Cancun to stay here. The check in was alright but ... the checking gift was a poisoned one: the hotel invited us to go to the other Westin Resort in Cancun for a sale presentation. In fact, was a rough attempt of racket! Bullying us to give our passports and credit card, bluntly speaking and kicking us off when refusing to buy anything right away. In fact we were supposed to decide and to sign a 20 yrs credit for 75.000 USD with 14% of interests and to do that in 30 min. The tried to grill us. Feeling like kept by the local police or mafia. As a result we felt so unsafe (especially for our credit cards) that book with Expedia by phone our 1-day trip to Chechen Itza. The hotel requires a credit card for booking it. Тhe massage staff getting angry when refusing (politely) to pay for a massage. Bar tenders turning their back when people sitting on the pool bar. Room not cleaned till 4 p.m. or chambermaid playing music on the TV ...the room door firmly closed...Ice machine broken most of the time. When working - so noisy we couldn't sleep ...On the sixth day of our 7-days stay, our key cards blocked so no access to the room. No excuses when the problem was solved. The stuff mowing the grass at 7:30 a.m. in front of the guestrooms windows. No music on the bar or when rarely the music is on ... playing the Merry Christmas song ... in August. The deceitful exchange rates in the hotel - 11 pesos for a Canadian dollar! The food and beverage prices twice as expensive as in the downtown of Montreal. with two PC - one with a broken screen and the printer so speedy that it took us 20 min to print 6 pages.We felt really happy to LEAVE the hotel, the city, the country! It was our first and last try in Cancun and in Mexico. As a platinum guest this was my 100th night this year in SPG and Marriott hotels. Staying at the royal Beach club in an outstanding room made my anniversary even better. Got upgraded to a breathtaking suite, lounge was great, staff is friendly/helpful/knows English way better than in other SPG hotels in Mexico.Special thanks to the superb manager Jonathan who did everything he could to guarantee that I'd have a good time. Make sure you talk to him if you are a platinum guest. 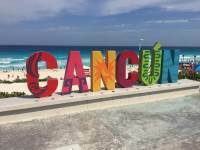 I have been planning to visit Cancun for several years. I wanted to get to those Mayan pyramids and archaeological sites. 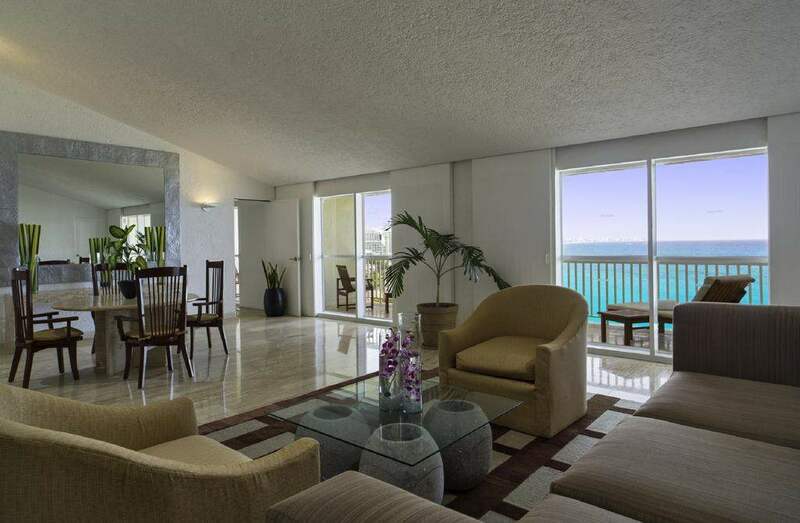 I wanted to have a nice hotel to enjoy the Caribbean beaches, water, and palm trees in between these Mayan trips. I saw my pyramids, but I honestly regret staying at the Westin Resort & Spa. There are literally miles of hotels and resorts so there was no excuse for tepid customer service. The room was spacious and clean and again, there are miles of clean and spacious rooms. My biggest issue was the expensive room and there was construction in front of the hotel AND construction behind the hotel. I paid full price to lie on the beach and listen to jack hammers and lie on my bed and listened to that annoying beep, beep, beep of equipment backing up. All of those fun excursions I went on saved my trip. Oh yeah, if you take a bus excursion, they can’t pick you up in the lobby. You have to walk down the hill to the main street. 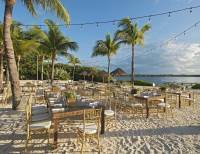 The restaurants on the property were pricey, but some of the best food I had in Cancun. I was worried after seeing all the negative reviews. I called to cancel but wasn't allowed to even though I called so far ahead of time which was annoying because their policy allows for 48 hours prior cancellations. The people at the front desk were very, very rude and unhelpful.That being said, I disagreed with most of the negative reviews. We stayed in a balcony ocean view room on the sixth floor near the construction. I never heard a single sound from construction or next door neighbors. The floor was a bit dinged up and I get why people thought the decor was a bit dated, but it's well Kept and not falling apart. I thought it was beautiful. The view was everything we wanted. The bed was so comfortable and the pillows were amazing. I almost wanted to buy it off them. It was lovely. 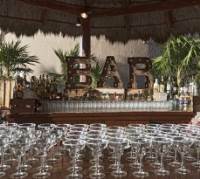 About food/bar: the drinks at the beach bar are overpriced and weak. It's better to order just shots from there and get cocktails elsewhere. The food is horrible. I eat pop tarts for breakfast usually so my taste is not fancy. Everything at the buffet was bad so I kept trying new things in hopes of something yummy- no luck. Eggs were way over cooked, French toast was just soggy bread with no flavoring at all, pancakes were all burned black, bacon had been cooked to quickly and burnt, caprese salad wasn't caprese, rolls has been left out too long and wee hard, etc. breakfast cost 50 bucks. I was not impressed with the buffet before I knew what it cost and even less knowing I could have gone out to eat twice somewhere better for the same price. Just take the bus for 1 USD further into town and eat there. You'll thank me. This property is currently going through a renovation, but we knew that when we booked. The surprising thing about this renovation is you hardly know it's going on. They are very cognizant of the guests. The property is nice, the pool is very small and water is warm but not too much of a problem. It does have a swim up bar. 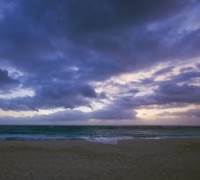 The ocean is perfect temperature for the weather, beach is constantly kept manicured. The property staff is so nice; friendly, helpful, courteous. The food is really very good and very nicely prepared and presented. We ate at the Sea and Stones for a late night dinner, it is a real wood fire grill, we had the hamburger and I recommend that. We ate an early dinner at Arrecites and had Cochinitas (an authenticly prepared pulled pork dish served with corn or flour tortillas in a mojecta). The La Palmar buffet breakfast is a combo of American and Mexican and much more. It was awesome. The conversion on our trip was 1 peso= $.056 American. I recommend googling currency conversion and use that to help figure out what you are spending. 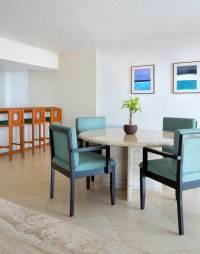 Come stay at this Westin property you will not be disappointed. 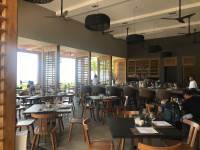 We only stayed one night at the Westin, before heading off to Mexico City, but it was a pretty good experience.Great service at breakfast, reception and at the Sea & Stones Restaurant. Very polite, very helpful and very friendly.Our room was spacious not facing the ocean but that was pretty good at at night there was a lot of action going on right close to the pool. The noise level was pretty high, there was quite a big construction at one of the buildings close to the pool, and our next door neighbors were having a party in the room next door. No complaints, but if we could have understood spanish we could have taken part in their conversations - we were so jet lagged, that we did not really care and fell asleep in a great bed with good sleeping quality.The next morning I was able to use the pool very early due to my jet lag and loved the morning swim. The pool is big enough to do your morning rounds and a workout and it was lovely to have it all to myself while looking at the ocean and the pelicans.Breakfast was really really good. So many things to chose from selfmate breads, even gluten free kinds. Egg stations, mexican specialties, fresh pressed juices, wonderful variety of different fruits - totally loved it!Another not so great experience were the bathrooms downstairs to the restaurant - after such a nice breakfast quite a shocking experiences - they really looked like high way restrooms - unfleshed toilets, liquids on the floor and toilet paper hanging on both toilets. I would not have expected such a view in such a good hotel. Everything else was very clean and taken care off very well. We were aware that the hotel was being renewed and I think that is why the price was one of the lowest for the same category hotels in the area. With that in mind, we had a great time. 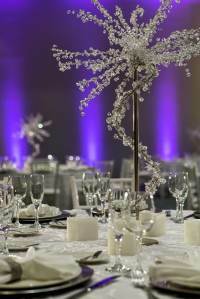 All the staff were extremely friendly and helpful and all facilities worked well. it was clean and light. Breakfast buffet is great, and we went out all day to avoid staying in the noisy environment. Works start well past 9 o' clock and finish early evening, so a nice candlelight dinner by the beach is possible. If you walk 100 meters from the hotel, you can take a local bus for one dollar which takes you all the way through the center, passing by malls, beautiful beaches, restaurants and attractions. 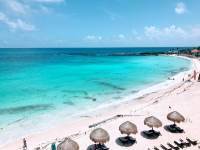 I think it is a good way to get a bargain in the hotel zone of Cancun if you are prepared to go out of the hotel everyday. This was my worst experience in a hotel ever!. NO WATER, REALLY! Because of renovations. What about better to close the hotel for renovations and don't lie to people. Pictures are no what the hotel is. Old hotel, dated, from beds to bathrooms, corridors, etc. 2 bugs in our room, I have pictures of them. As soon as I get home this afternoon I'll posted, my daughter has then on her phone. Personnel gave us advised for the more expensive transportation airport hotel, 7 hundred something pesos, when they could tell us about taxi -cab- for half of that price. Harassment to buy a timeshare and long ugly faces when we did not buy it. No dehumidifier system in hotel. Floors, clothes, passports in general items "like wet" because of it. Very uncomfortable. When hotels need to be refurbished, then closing them should probably be the best option. We are talking about a Westin property whose reputation should be of a no frills, contemporary upscale service, not a luxury hotel, but a decent, clean property.The Westin Resort & SpA in Cancun is currently more a construction site than a hotel.As an SPG gold customers (10 years in a row with this status) I have been assigned a room in the "VIP" Royal Beach Club annex. A true disappointment.The room is very poorly designed, old, with bad lighting and a very dark bathroom, where shaving in the morning becomes a hard and dangerous task. Rooms are definitely NOT soundproof allowing you to hear literally everything that goes on in the next room.Cleanliness is also an issue - a dead bat was found on the aisle out of my room and remained there until I have had it noticed by the staff. Room service platters are left outside the rooms for long hours.The only positive note goes to the staff. Not withstanding the very poor condition of the hotel, some team members are striving to make everything possible to feel welcomed and well catered. A special mention in this sense should go to Mr Marco in the breakfast room of the mentioned Royal Beach Club (there is nothing of really royal there). His smile and care is really genuine and starting the morning with his attentive service was the only delight of my stay in this EMBARASSING Westin property. I believe that the current product is so dated that once the refurbishment process will be ended it will be very difficult to justify an increase of rates to repay the investment as the current reputation makes this a property to be avoided. Even if you decide as I did to use your starpoints to pay your stay. We spend 3 very relaxing days at the Westin. 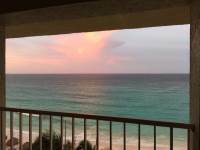 As gold members, we got lucky and were upgraded to an ocean view room at the Royal Beach Club and the room as well as the beach were just wonderful. We also dined at the Arrecifes one night and while not inexpensive, the food was really good and Carlos our waiter made great recommendations. As to nightlife, there's nothing close by but we took the R2 bus to the city one night and had a great dinner downtown Cancun. El Rey ruins are very close by as well as one of the few cultural highlights in Cancun. Looking at the other reviews, we also experienced the water not running on the day of check-out which I guess was lucky. I can see how this is very upsetting i.e. if the toilet and showers don't work. Something they need to fix and address much quicker! The hotel is currently turned into a beach club resort but we didn't find the maintenance work disturbing at all as they try not to affect the guests. It was the first and last time that I have visited this hotel. Since we arrived, we could see that the hotel is very old and they have made virtually no efforts to renovate it. When we got to "our" room and the bellboy opened the door, we saw that the room was unavailable due to maintenance issues. Then they took us to a second room, which was already occupied. After waiting for various minutes, they took us to a 3rd and final room, which was actually an upgrade from the other rooms. However, a couple of hours later we found out that there was no water in the room, and we didnt have any water until we checked out. Our room was on a 6th floor, and our last day, the elevators did not work. The only good thing about this hotel is the staff. They were always very attentive and always trying their best to offer solutions to the problems that were caused by other factors. We were very excited to arrive at the hotel after our international flight only to get to the room to find poo in the toilet. We tried to flush and found out that the hotel does not have running water. Not only did they not tell us this at checkin, they also offered us nothing when we complained. When asked to be moved to another hotel or simply another room with running water, they said they couldn't help us! The hotel is currently under construction! What an absolute joke! DO NOT STAY HERE! Lots of people saying this place is not up to Westin standards. I beg to differ. I've been to other Westins and I can say that I enjoyed staying at this Westin more than I did the others. It had great customer service and our room was even upgraded to a junior suite. 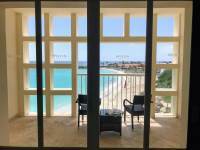 The back of the suite had a beautiful balcony with chairs and a table overlooking the lagoon. They are remodeling the hotel right now which will be completed by 2018. Thank you Westin Resort & Spa for such a wonderful experience and we look forward to staying here again as well as recommending the hotel to our friends and family. To start off, this hotel is not a 4 star hotel. It is a 2 star at most. The food is overpriced the location is terrible (far from any nightlife, bars, any thing that would make you want to stay in cancun) I booked three months ago in May for a room with a view of the ''lagoon'' , but instead I ended up staying in a room in the first floor with broken lamps, non-functioning coffee makers, and fridges that make your food become lukewarm at best. I addressed this issue to the front desk and they told me their ''room system wasn't working''. The finishing on this hotel is absolutely terrible considering it is rated 4/5 stars. I came from NJ, USA and had remarkably low expectations, but surprisingly none of those were met. The food choices at the restaurants are very limited and the food itself is more expensive than a 5 star restaurant in the states. The beach might be the only positive side of this hotel (very low waves or no waves at all at times). Overall, this hotel just likes to take your money and make an easy profit. 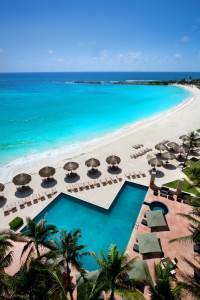 My wife and I received a special offer from the Westin Cancun hotel, sometime in November. 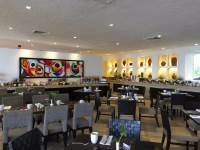 We have a Westin which is great here in Houston, and she has stayed at one that is absolutely fantastic in Scottsdale for business conferences. We figured, for less than two hundred bucks, we'd definitely give it a try. If we got bored, we could always go into the Party Zone, right? We arrived, and this Westin is at the far end of the Hotel Zone. I mean, literally the farthest hotel on the strip of land which the hotel zone rests upon, sort of out on a point if you will. There's good views of both the sea side and the... I'll call it the lagoon side, and the lagoon side is relatively calm compared with the ocean side. We saw lots of people water skiing and involved in other activities on the lagoon side. But... not people from the Westin, for some reason. There seems to be a lot of wind coming in from the ocean all the time, which makes sense. This Westin is divided up into two parts, the Westin, proper name itself, and the so-called Royal Beach Club at the Westin. I smelled time-share pitch as soon as we arrived, when our "personal concierge" asked us to go check in, get comfortable, and she'd sit down with us and explain all the benefits of their wonderful hotel. I've been to wonderful hotels before... there's most likely good beds, big bathrooms, fluffy pillows, a bar or three, one to five restaurants, two to five pools, perhaps one or two with swim-up alcohol access, and generally a beach to go lay one's person upon. Well, at the wonderful hotels I've been to, anyway. The Westin checks all of those boxes. Swim-up alcohol available at one of the four pools, though two of the pools aren't big at all. The beach is huge, though the shells which comprise it are gnarly and they attempt to make your feet like them. There is an artificial, lifted so to speak, beach area where you can lay out at the Royal Beach Club section, they have service staff moving around there. The room we were assigned in the RBC building was quite a bit larger and better-appointed than the usual Westin... I really would say that the Westin's rooms were about as well set up as your average Holiday Inn in the states, to give you an idea. Definitely NOT like the Scottsdale experience my wife has had a few times. No Heavenly Bed, comforter just average hotel stuff, pillows equally... average. One very noticeable absence... music. No music around the pools, in the restaurants, in the bars, anywhere except very faint in the lobby. This was weird to us. Who has ever heard of a bar in Mexico with no music of any kind? It actually pyut dampeners on everyone's enthusiasm for any of the supposed "fun" available at the Westin. We were offered daily breakfast, as part of our "plan," which wasn't an all-inclusive thing. They don't offer an AI plan at the Westin, apparently. I was sleeping in one morning, vacation-style, and my wife went down and had breakfast and thought it OK. But, she went to make a little plate for me and was told she could not take it to the room - I'd have to come down to get it. The aforementioned party zone had vetoed that proposition, so I skipped breakfast that day. I did note that the day we arrived, the posted per night rate was $559/night. Ouch. We got average island-time delays in the beach service, which is OK. We werent' in a hurry. I do have this pet peeve about someone asking if I'm ready for the bill, and when I say yes... I'd really appreciate not having to wait a half-hour to get it so that I can go somewhere else. That seemed to happen every time we ate at the Westin this trip. Like I said, service was good, friendly and helpful, just slow to close the deal. Every time. I'm just sensitive I think. One thing interesting... the food was not good. How can a cook screw up chicken nuggets? I mean, chicken pieces, breaded, fry... done, right? Well, apparently it's a mystery. Asking for Nachos is an adventure in mexico and I get it, but if they put it on the menu... then it ought to be close, right? But, no. Perhaps this is a relatively new Westin building and they're still working out the kinks? I don't know. 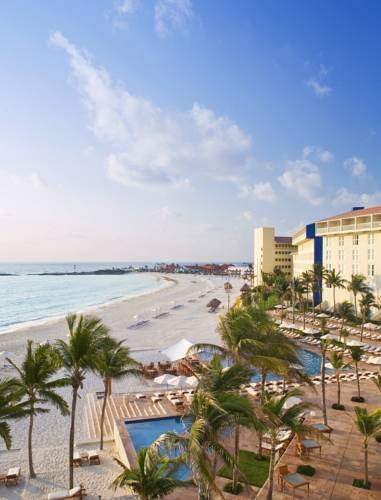 But, if you were paying full rate for the day I noted it, that $559/night... you'd be... upset.My wife and I received a special offer from the Westin Cancun hotel, sometime in November. We have a Westin which is great here in Houston, and she has stayed at one that is absolutely fantastic in Scottsdale for business conferences. We figured, for less than two hundred bucks, we'd definitely give it a try. If we got bored, we could always go into the Party Zone, right? We arrived, and this Westin is at the far end of the Hotel Zone. I mean, literally the farthest hotel on the strip of land which the hotel zone rests upon, sort of out on a point if you will. There's good views of both the sea side and the... I'll call it the lagoon side, and the lagoon side is relatively calm compared with the ocean side. We saw lots of people water skiing and involved in other activities on the lagoon side. But... not people from the Westin, for some reason. There seems to be a lot of wind coming in from the ocean all the time, which makes sense. This Westin is divided up into two parts, the Westin, proper name itself, and the so-called Royal Beach Club at the Westin. I smelled time-share pitch as soon as we arrived, when our "personal concierge" asked us to go check in, get comfortable, and she'd sit down with us and explain all the benefits of their wonderful hotel. 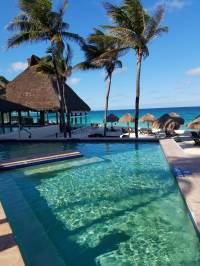 I've been to wonderful hotels before... there's most likely good beds, big bathrooms, fluffy pillows, a bar or three, one to five restaurants, two to five pools, perhaps one or two with swim-up alcohol access, and generally a beach to go lay one's person upon. Well, at the wonderful hotels I've been to, anyway. The Westin checks all of those boxes. Swim-up alcohol available at one of the four pools, though two of the pools aren't big at all. The beach is huge, though the shells which comprise it are gnarly and they attempt to make your feet like them. There is an artificial, lifted so to speak, beach area where you can lay out at the Royal Beach Club section, they have service staff moving around there. The room we were assigned in the RBC building was quite a bit larger and better-appointed than the usual Westin... I really would say that the Westin's rooms were about as well set up as your average Holiday Inn in the states, to give you an idea. Definitely NOT like the Scottsdale experience my wife has had a few times. No Heavenly Bed, comforter just average hotel stuff, pillows equally... average. One very noticeable absence... music. No music around the pools, in the restaurants, in the bars, anywhere except very faint in the lobby. This was weird to us. Who has ever heard of a bar in Mexico with no music of any kind? It actually pyut dampeners on everyone's enthusiasm for any of the supposed "fun" available at the Westin. We were offered daily breakfast, as part of our "plan," which wasn't an all-inclusive thing. They don't offer an AI plan at the Westin, apparently. I was sleeping in one morning, vacation-style, and my wife went down and had breakfast and thought it OK. But, she went to make a little plate for me and was told she could not take it to the room - I'd have to come down to get it. The aforementioned party zone had vetoed that proposition, so I skipped breakfast that day. I did note that the day we arrived, the posted per night rate was $559/night. Ouch. We got average island-time delays in the beach service, which is OK. We werent' in a hurry. I do have this pet peeve about someone asking if I'm ready for the bill, and when I say yes... I'd really appreciate not having to wait a half-hour to get it so that I can go somewhere else. That seemed to happen every time we ate at the Westin this trip. Like I said, service was good, friendly and helpful, just slow to close the deal. Every time. I'm just sensitive I think. One thing interesting... the food was not good. How can a cook screw up chicken nuggets? I mean, chicken pieces, breaded, fry... done, right? Well, apparently it's a mystery. Asking for Nachos is an adventure in mexico and I get it, but if they put it on the menu... then it ought to be close, right? But, no. Perhaps this is a relatively new Westin building and they're still working out the kinks? I don't know. But, if you were paying full rate for the day I noted it, that $559/night... you'd be... upset. When we first arrived our room wasn't ready, which wasn't a big deal, so we decided to go to the pool or beach. Well the pools look disguisting maybe except for the main one, which I still wouldn't get in. Our room was ready which was the upgraded Royal Beach Club and the lady said she had a king bed room for us--well we got in there and it was two queen beds. The construction was loud and heard constant banging except for late evening. We had ants in our bathroom and they were all over our toiletries. I called and a lady just came and sprayed raid and said goodnight. We moved the next day to a king bed room. The construction noise was louder and it starts early in the morning. Royal beach club offers a free breakfast buffet which I would rather pay for fresh food instead of hard pancakes, runny eggs, and bacon I couldn't even recognize. The ladies that run the desk at rbc do not provide any level of high service, god forbid you bother them with any question. If you like air conditioning, the rooms here aren't for you. Both rooms ac was awful. Had a couples massage at the Heavenly spa. This was very average. My lady needs more education on massages--they should not hurt bc she was pushing in sensitive areas(ex: my ribs, side of my neck, on my bones) I've had better $30 massages on the beach than this.To top everything off, after coming back from a wonderful dinner at Harry's , a letter was on my door saying I owed $1 for a phone call? I thought this was a joke. All in all, this hotel is a 1-2 star only bc its on the beach. As a SPG member, I was extremely disappointed. Great customer service and beautiful beach! I stayed at this hotel with my 3 children for 2 nights. I had originally booked for 4 through a website (do not ever book anything through Prestigia.com- you've been warned!) but when we arrived after an 11-hr flight from London the booking was nowhere to be found. The reception staff were great, I could use their Wi-Fi to try and contact the agent and when Prestigia said they had left me a voice mail (while I was somewhere over the Atlantic) saying that they couldn't confirm the booking (despite sending me a confirmation of booking AND payment) the Westin offered me a reasonable rate for 2 nights, though it was considerably more than the rate I had originally booked. Considering we were exhausted and really hot, we decided to stay. We were upgraded to the Royal Beach Club rooms and that was a great gesture of them to try and make things better for us. The room was very nice, lagoon-facing. Like it's been stated in other reviews, it's a bit tired and in need of remodelling, but they are doing it now! I did get the musty smell mentioned in other reviews.THE PROS: 1) The beach. The sights. They take your breath away.2) The staff. The customer is at the heart of everything they do. They always smile and are willing to help. I work in the travel industry and can understand how difficult it can be. Staff is this hotel's greatest asset. 3) The pools. Very clean and gorgeous, with many sun loungers for everyone. The beach also has many loungers. 4) Very close to the airport. 10 minutes away. Very handy if you want to just get to your hotel room after a long flight.5) Coffee and tea making facilities- pleased to see this being more and more common in Mexico, probably due to the large influx of British tourists. Coffeemaker was good and the coffee provided was great! 6) The kids club. We didn't have time to use it, but we were given a timetable with all the activities going on... great option if you want a couple of hours to yourself!THE CONS:1) Food prices are extortionate. Everything in Cancun is extortionate, but every meal is at least £80 with tips (remember I'm with 3 children,so kiddies meals and no alcohol!) I don't mind paying for good food but food was not great. I was looking forward to breakfast but the chilaquiles were mush and the scrambled eggs were too wet. The fruit was looking sad and not very fresh. 2) The hotel is at the very far end of the hotel zone so far from everything. However, the bus stop is not far and the R1 and R2 buses run literally every 2 minutes and they are fast! You'll be at La Isla in 15 minutes! If you're on honeymoon and don't plan to leave the hotel (or your room! ;-) ) this is a good option for you! 3) The hotel is undergoing renovations and there is noise and the main building isn't looking at its best, however, you have the lovely beach view to make up for it! As you can see, the pros outweigh the cons. I would stay here again but at the right price. I was quoted $480 USD a night for the next 2 nights over the weekend, so moved on to Playa Del Carmen and we are enjoying having everything on our doorstep! If you want/can pay lots of money for food/snacks, then go for it! Apart from that this is a good hotel. Really in need of renovations, I don't know why they have waited so long, it is so past due. They have started now, I hope it will be more than a soft reno. If you're coming from the airport, you can't beat the location, very quick and easy to get to right at the beginning of the hotel strip. Vallet parking is free of charge which is a nice break from the rest of North America. The pools look nice, but it is a quiet place, no shows or main evening gathering place, the top floors have balconies to sit out on, that was kind of nice. The staff are pleasant and attentive. I would give it another try after the renos just to see what the did. There is really nothing wrong with it, it just felt like and old Mexican place, not a Westin on a beautiful white sand beach.